Design your own sliding wardrobe doors online with our easy to use tool! Our wardrobe designer will give you a visual of your new bedroom wardrobe sliding doors before you buy them, so you can be confident in your purchase. Choose from 7 ranges and customise your doors to look and function exactly how you want them to. 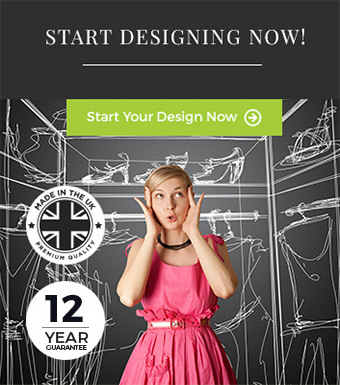 Save your design for later or buy your custom made wardrobe online in just a few clicks! In 7 easy steps you can design your new fitted furniture online using our wardrobe design tool. We then build every wardrobe to the highest quality to the exact specification received, and deliver them to you as soon as we can. Select a style from our 7 modern ranges. You’ll find something to suit whether you want to design a walk in wardrobe or a classic storage space for your clothes. 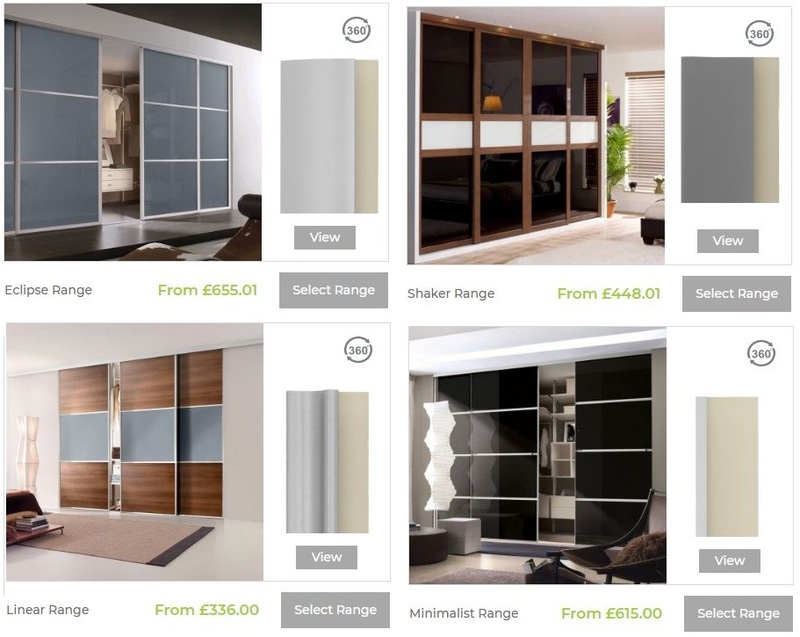 Browse the gallery for each wardrobe range for some design inspiration! You will need to enter the exact width and height of your wardrobe so that we can make it to the perfect fit. Follow our simple guide to work out what size wardrobe doors you need. In step 2 you can also select how many doors you would like your sliding wardrobe to have. Now it’s time to start personalising your wardrobe! In step 3 you can select the colour for the frame and track set. The options available will vary depending on the door range that you selected in step 1. The contemporary Linear range for example has 8 frame colours to choose from whereas the Eclipse range is only available with Anodised Aluminium frames. So if you have something specific in mind, browse all of our bedroom wardrobes first. Now for the fun bit! 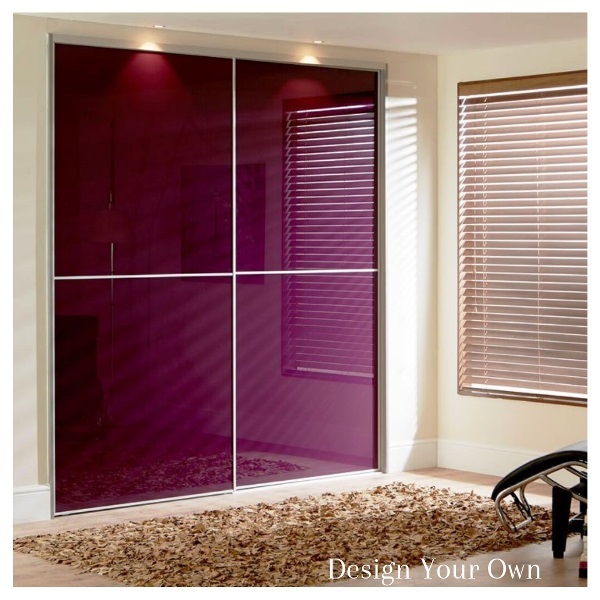 Pick your panel colours and create your dream sliding wardrobe doors. Our wardrobe door designer tool allows you to split the panels so you can either have a single colour across all doors or use multiple colours to create a unique design. A popular combination is a board colour with a glass colour which works great for opening up a room as well as providing a full length mirror for dressing. We recently added more neutral colours to our glass colours, including Cashmere, Dakar and Stone Grey. For those who aren’t sure which colour to choose for their fitted wardrobe, we offer a sample request service so you can get it just right. Request up to 8 sample colours online and find the perfect shade for your room. Next you need to select which installation type is required so that we can ensure you have everything you need in your sliding wardrobe kit. Select either End Panel to Wall, Wall to Wall or End Panel to End Panel installation. End panels and liners will then be preselected in the next step of the design process according to the type of installation you choose. If you don’t need the preselected end panels or liners you can deselect them in step 6. Your wardrobe doors will then be made to fit the exact height and width measurements that you provided in step 2. Otherwise we will make the necessary size adjustments to the overall opening height and width of your wardrobe to allow for liners and end panels that are selected. The final step to designing your custom made wardrobe is choosing a storage system! We have a diverse range of wardrobe interiors so you can store and display your clothes in any way you choose. 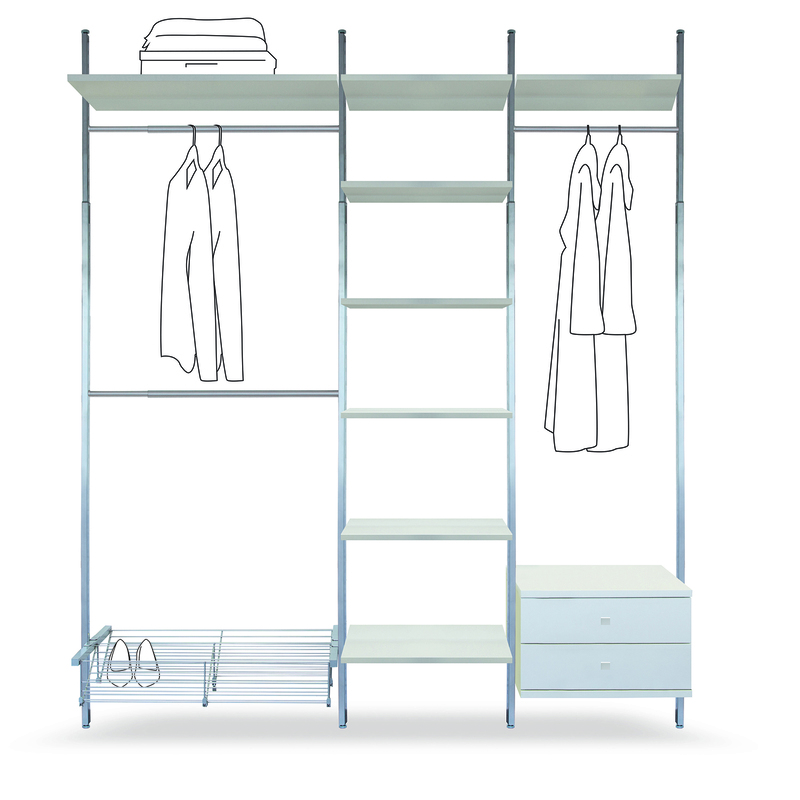 Add individual shelves or hanger bars to your order or select a full storage kit that can be configured to maximise space. Do consider the positioning of your sliding doors before you buy your wardrobe interior so that features like open drawers are positioned correctly. And that’s it! You’ve just designed your own custom sliding wardrobe doors online at Slide Wardrobes Direct in 7 simple steps. Press ‘Buy Now’ and we’ll have your made to measure wardrobe delivered directly to you. Our experts will make your kit to your specification in our Newark factory aiming to deliver it to you within 14 working days. We’re proud to say that this is the fastest lead time for bespoke sliding wardrobe doors in the UK! Build Your Custom Made Wardrobe In No Time! Your custom sliding wardrobe doors will arrive with you flat packed with full fitting instructions for any competent DIYer to put together. If you have any questions whilst installing your furniture, you can give our support team a call on 01636 671177 and they’ll be happy to help. 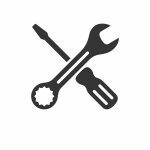 We’ve also put together an installation guide as well as a wide range of help videos on our YouTube channel.